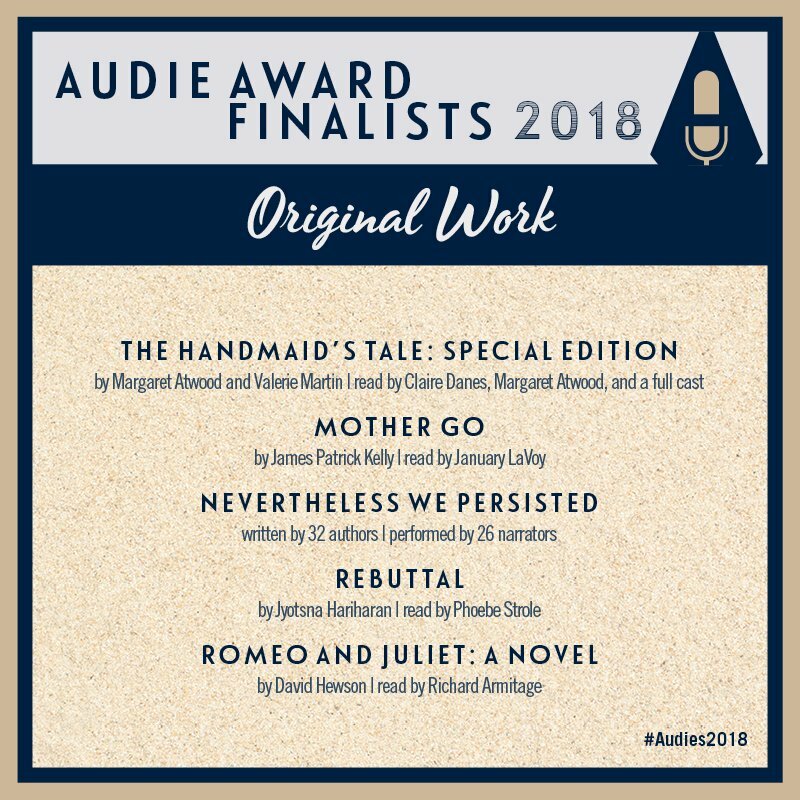 I’m very excited to announce that Nevertheless We Persisted is a finalist for a 2018 Audie (the audiobook equivalent of an Oscar or a Grammy.) I am a proud contributor to this amazing compilation of stories and poems. Special thanks and congratulations to Blunder Woman Productions for their hard work on this labor of love. You can learn more about this anthology and my part in it by clicking here. The awards will be announced on May 31, 2018. I’ll keep you posted. Congratulations to all the finalists in all of the categories.